It takes work to stay up to date with technology, but the rewards are great. Some of these gadgets are newer editions of earlier versions, and some are brand new. They are useful, fun, and improve our efficiency. 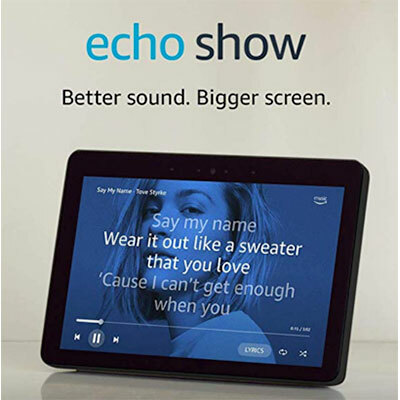 Echo Show is a video screen with speakers that connects to the Echo. Ask Alexa for your favorite show, or to call a friend, or pull up a recipe, then take it into the kitchen and cook from the step-by-step recipe, use Alexa for timing, and adding to your grocery list. Alexa will play music for you while you cook. $189.00. Find your phone. If you’ve lost track of your iPhone, just ask Alexa to find it. Going out of town? If you’re going to be away, ask Alexa to run “Away Mode”. The device will continuously play a gibberish recorded conversation to make burglars think there’s someone home and scare them away. Be aware you’re being recorded. Alexa records the voices it hears so make it a habit to routinely review the recordings and delete ones that are inappropriate. You can also press the mute button or unplug it when you are having a sensitive conversation. Home Security. If you have smart locks and use Alexa to arm and disarm be aware that an intruder could instruct Alexa to turn off the alarm and open the outside door through a closed window. Do you use Google Calendar? Did you know you can get your daily agenda emailed to you every morning at 5 a.m.? To do that, click the Settings gear in the top-right corner. On the left menu click the name of the calendar you want emails about. Under General Notifications choose the option for Daily Agenda. In the drop down, select Email. Haven’t you always wanted an 8” rain shower head with a Bluetooth waterproof speaker? One can be yours for $71 at Walmart. It will connect to any Bluetooth tablet, phone or other device. 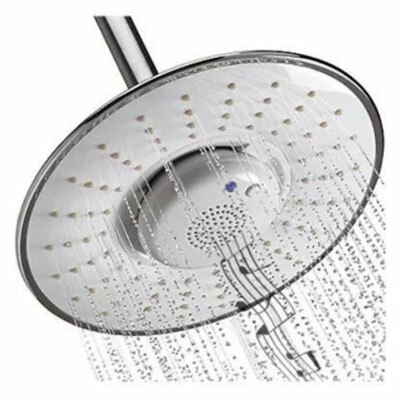 You can play your music and answer the phone while you shower. 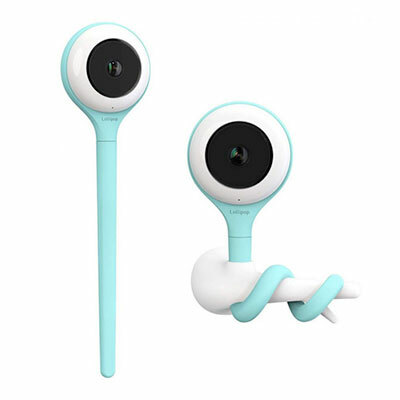 This Lollipop Baby Camera is a high-tech baby monitor. It pairs with an app so you can keep a close eye on your baby while doing other tasks around the house. It plays lullabies or white noise, and it has ‘real crying’ and noise AI recognizability. $149.00. This night light Bluetooth speaker is small at 4.3” x 4.3” x 5.2”. 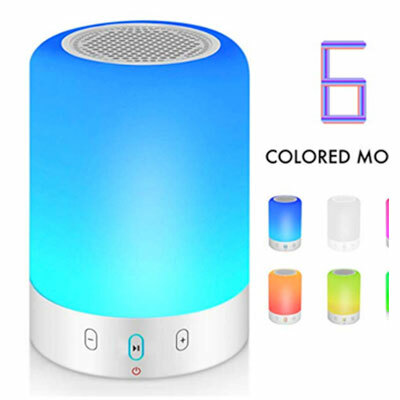 It is a night light, a Bluetooth speaker, portable and wireless and has 6 color LED themes for the bedside table. There is FM radio capability and it can be used as an outdoor speaker. $19.50. This is one of my favorites – a self-rolling yoga mat. 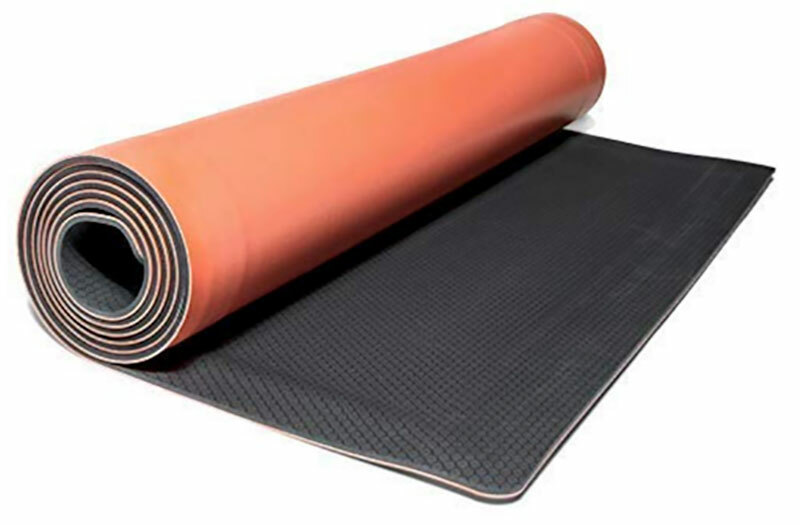 This is a soft, comfortable mat that grips the floor. After class, your mat rolls itself up. The mat is 24” x 72”. $79.95. 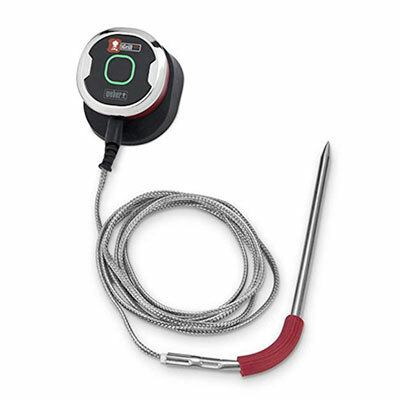 The Weber iGrill Mini sends notifications to your phone when your dish is done. You preset the temperature, insert the probe into what you’re cooking, and when it reaches the correct temperature you will be notified. It has a battery life of 150 hours. No hanging around the grill tapping your foot. $28.52. 31% of those surveyed believe that airport x-ray and scanning machines can wipe the memory on a cell phone or laptop – Myth! 86% believe that the more megapixels smartphone cameras have the better the photos – Myth! 52% believe that charging a cellphone overnight can ruin its battery – Myth! 30% think a computer must be shut down and turned off completely every night for it to run properly – Myth! If you believed in any of these myths, read the article to learn why it isn’t so.